The Scion Chronicles by Eric Kent Edstrom has been a wild ride so far and I am ready to dive into Child of Lies and travel to an exotic island that is filled with a horror you can’t imagine. His books have blown my mind, so have a look and tell me what you think. How would you feel if you were bred, raised, educated and trained only to have someone else’s mind taking over your body? They are clones. Sounds pretty freakin’ creepy to me! Unless you’re the other person. Old, decrepit, on your last leg, and death around the corner. A second chance at life. Child of Lies raises many ethical and moral questions, not overlooking the legality of it all. Of course, it’s only for the rich, so you blue collar workers may as well forgeddaboutit. Jacey was not going to let that happen. She felt responsible for everyone. I loved how all the characters learned to overcome their differences and function as a team. Their knowledge grew, as did their personalities. This ”what if’ story could very well give you nightmares. 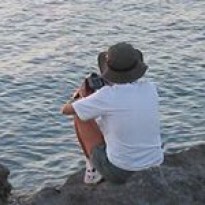 The tension and suspense made me want to look ahead, but I contained myself. No peeking. I am so worried. More than once, Eric Kent Edstrom had me saying, “Oh no, no, no.” Leading me on , making me fear for them all, even the not very nice Belle. Maybe she will learn something and be the better for it. Nature or nurture? Can your environment form who you are? Would a clone have a mind of its own? A personality of its own? About two thirds of the way through Child of Lies I ran across a wonderful surprise and a ray of hope put a smile on my face. Child of Lies by Eric Kent Edstrom picks up where Daughter of Nothing left off, so the series does not stand alone and each book should be read in order. It gripped me from beginning to end. I couldn’t put it down. Human nature and the worst circumstances show who we are and bring out the best or the worst in us. 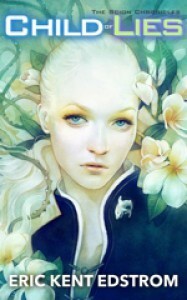 To me this felt original, amazing and so creative and frightening that it stuck with me long after I finished reading. It runs the gamut that is good and bad about! humanity! 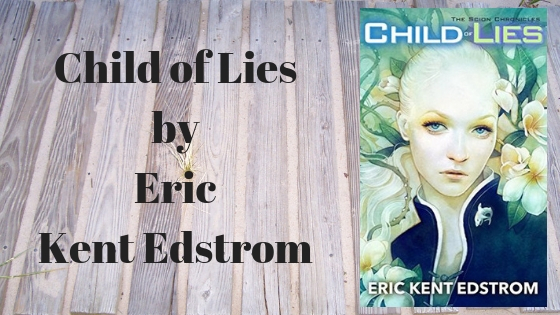 I voluntarily reviewed a free copy of Child of Lies by Eric Kent Edstrom.